Ultima Thule is intriguing. The first series of photos transmitted by the spacecraft New Horizons unveiled a world in two parts, like a kind of snowman. New Horizons has just uploaded a new series of photos. This time, these are pictures taken ten minutes after a flyby of 8800 kilometers. We thus discover a different point of view on the asteroid. The researchers were able to determine its general shape. Ultima Thule seemed to consist of two spheres when viewed from the side, but it would seem to be more like pancakes. 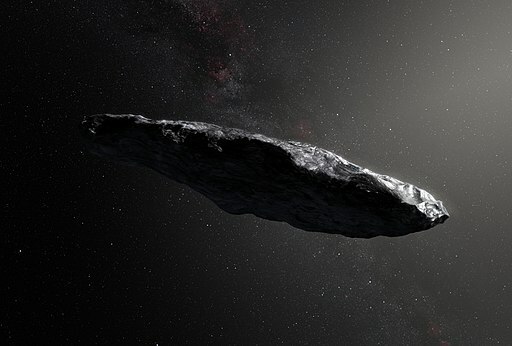 The asteroid is unlike any other known object orbiting the sun. New Horizons is already 273 million miles away from the asteroid. The space probe has yet to transmit us tens of gigabytes of data that it accumulated during the flight over Ultima Thule. If NASA decides to extend the mission beyond 2021 and finds a suitable target, it is possible that New Horizons can fly over an even further body of the Kuiper Belt. This area of ​​the solar system appears in any case as even more intriguing than expected. After flying over Ultima Thule, the farthest explored object yet, the New Horizons space probe continues to slowly send us its data. It had transmitted some low resolution photos just after its flyby of Ultima Thule. They have to be communicated quickly to obtain a minimum of data in case of sudden death of the space probe. The photos unveiled a double world with the unusual shape of a snowman, testimony of the accretion processes at the beginning of the solar system’s history. On January 19, 2019, New Horizons sent the photo with the best resolution so far, with 135 meters per pixel. The photo was enhanced by a team of researchers at John Hopkins University using a process known as convolution. This allows to discover new morphological characteristics of the object. Shadows at the border of day and night highlight a series of small craters not visible on the rest of the image. These craters are a few hundred meters in diameter. On the smaller of the two lobes, there is a very large depression that is about 7 km from one side to the other. The low resolution does not yet make it possible to determine whether they are impact craters, collapses or sites of volatile material ejection. More intriguing, clear traces seem to form paths on the surface of the two lobes. For the moment, no explanation has been formulated on these clear traces. The necklace that connects the two parts of the object appears much clearer than the rest of Ultima Thule. To find out more, we will have to wait for the next few weeks. New Horizons will continue to transmit new images in better resolution and in color. 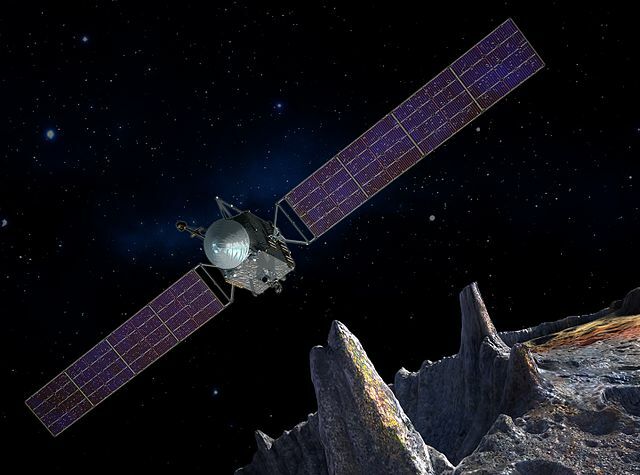 Hopefully NASA‘s space probe will fly over another object before the end of its mission. At nearly 2.7 billion kilometers from planet Earth, it is not easy to easily discover new targets. The New Horizons space probe left Earth in June 2006. Its goal was to make the first flyby of Pluto, which it did in 2015. NASA gave a new goal to New Horizons : flying over an object of the Kuiper Belt, even farther than Pluto. The 2014 MU69 object, nicknamed Ultima Thule, was chosen. New Horizons has once again fulfilled its mission successfully. The first images of Ultima Thule have been sent in recent days. Ultima Thule is a not banal celestial object. It is a binary in contact, that is, two approximately spherical bodies that touch each other. The two parts of Ultima Thule are respectively 19 kilometers and 14 kilometers in diameter. The first low-resolution photos show that the object is reddish and therefore very probably composed of ice, which is the norm for the celestial objects that evolve in the external solar system. During its flyby of Ultima Thule, New Horizons approached 3,500 kilometers from its target. The Kuiper belt is very far from Earth, communications are therefore at a ridiculous rate. The space probe will still need many months to transmit the 16 gigabytes of data it has collected. We will then admire Ultimate Thule in high resolution. The few shots in low resolution that the space probe has already sent are interesting. The general shape of Ultima Thule shows that the two parties that compose it came into contact at very low speed, otherwise they would have been pulverized. This is probably a typical example of the global aggregation process that took place at the very beginning of the solar system. The mission’s science team was also able to determine that Ultima Thule is spinning around itself every 15 hours. On some of the photos of the spacecraft, note the collar that connects the two 90 parts of the object appears clearer, probably because of the dust from the two pieces accumulate there. We must now be patient to learn more about the most distant object overflown by a human machine. New Horizons seems in any case always fit : the space probe still has some propellant in its tanks, and the mission is funded until 2021. NASA is not against the idea of ​​sending New Horizons even further. However, we must quickly identify a new celestial object to fly over. New Horizons is on a trajectory that will take it out of the solar system, like Voyager or Pioneer space probes. Its reserves of plutonium should allow it to communicate with Earth until the late 2030s, which may allow to better identify where is the boundary of influence between solar winds and the interstellar medium. Beyond Pluto, in the Kuiper Belt, the New Horizons space probe is less than 10 weeks from its flight over Ultima Thule, a 37km ice block that has probably evolved little since the solar system was created. We do not really know what we are going to discover so far from everything. For now, Ultima Thule is just a white pixel on the cameras of New Horizons. The flyby will be very fast. It is during New Year’s Eve that New Horizons will finalize its approach. The RTGs of the New Horizons space probe should allow it to run until 2030. But it should not reach the interstellar medium before that date. It will still send us data during the overflight of the space object “2014 MU69”, which will be the furthest object flown over by a space probe created by the man. It is more than 1.5 billion kilometers behind Pluto’s orbit. It is part of the Kuiper Belt, which looks a bit like the main asteroid belt, but much larger and much more massive. The overflight will take place in January 2019. 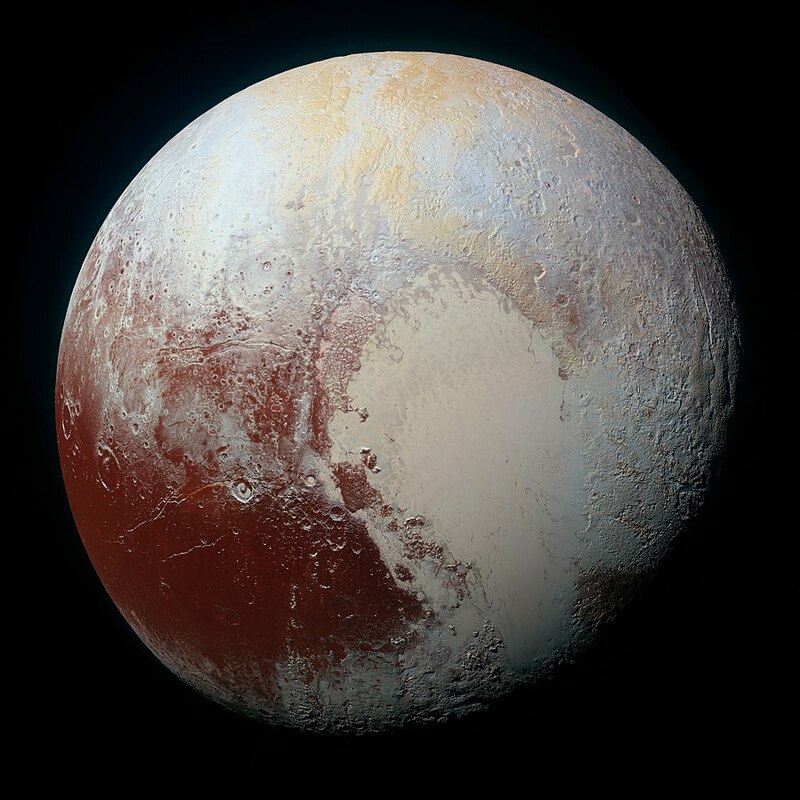 In July 2015 the New Horizons space probe was able to make a close flyover of Pluto for the first time, which brought us unpublished images of the dwarf planet. Pluto was already suspected of having an atmosphere, but the surprise of the scientists was great when they realized that this atmosphere was much denser and much richer than expected. Even more surprising : after two years of image analysis, the New Horizons mission teams are almost certain that Pluto has clouds. These clouds would measure a few kilometers or ten kilometers and would be formed at very low altitude. They have all been observed in the area that separates day and night on the dwarf planet. We do not speak here of a cloud of water droplets as found on Earth : the Pluto clouds would consist of acetylene of ethane and hydrogen cyanide. The sky of the planet would be clear all day long then some clouds would appear in the evening. On Pluto, the days last six times longer than on Earth. The atmosphere of the dwarf planet is much more complex than imagined and the Plutonian meteorologists have years of work before them to decode all phenomena. The New Horizons space probe that made this flyover continues its journey in the Kuiper belt and mission scientists have found a new target to visit : the object MU69 2014. It is a body of the Kuiper belt with an estimated diameter of a few tens of kilometers. It should be very typical of the bodies found in the belt so it is an excellent subject for observation. The overflight is scheduled for January 2019. 2014 MU69 will then become the farthest object ever to have been approached by a human object. This will allow us to learn more about the Kuiper Belt and scattered objects that can be found behind it. Understanding the external solar system is a major issue of exploration for space agencies.